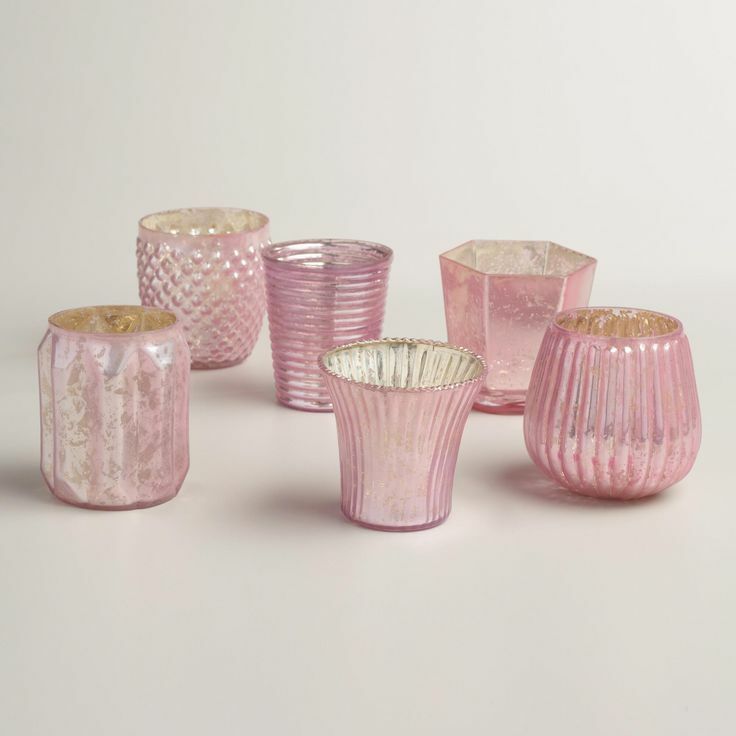 With six different designs in a vintage-inspired pink hue, these sophisticated Pink Mercury Glass Votive Candleholders create a festive atmosphere grouped together or displayed on tabletops throughout your home. Set of 6. $23.94. Buy here.